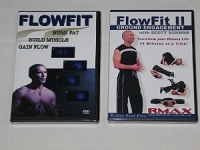 Please Note: FlowFit II is Available Only in digital format! FlowFit® is the entry point to Coach Sonnon’s life and sport performance enhancing products available to all fitness and skill levels. In a mere 14 minutes a day transform your body and gain the benefits of “flow”. From beginner to advanced this program is for you. FlowFit® II “Ground Engagement” combines all the benefits and rewards of FlowFit with Coach Sonnon’s Hall of Fame Award Winning ground engagement approach. An even more sophisticated presentation and incremental progression of ground engagement than in the extremely successful “Grappler’s Toolbox”, FlowFit II will push you to never before dreamed of heights of fitness and performance.